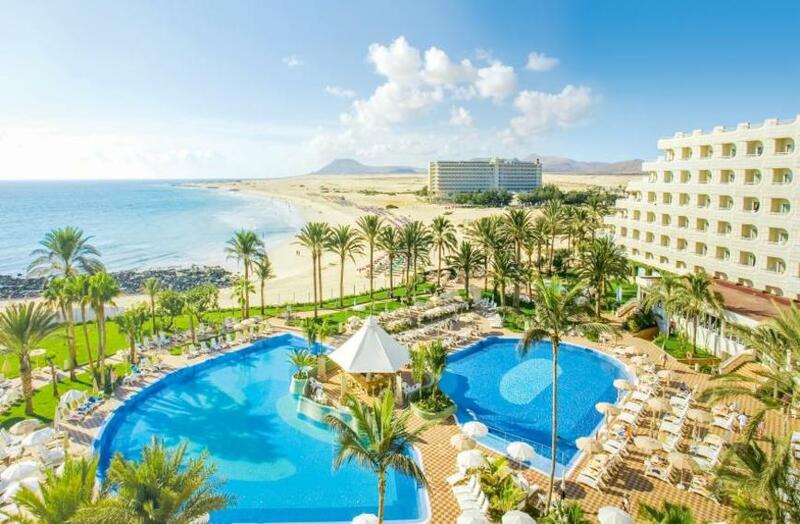 Located on the northern tip of the island /Fuerteventura/, just south of the resort of Corralejo, sits the Corralejo beach, which stretches for six miles. The Corralejo beach also borders a national park. All the sand dunes and areas behind it are protected. Corralejo is a small town situated on the one of the Canary Islands named Fuerteventura. 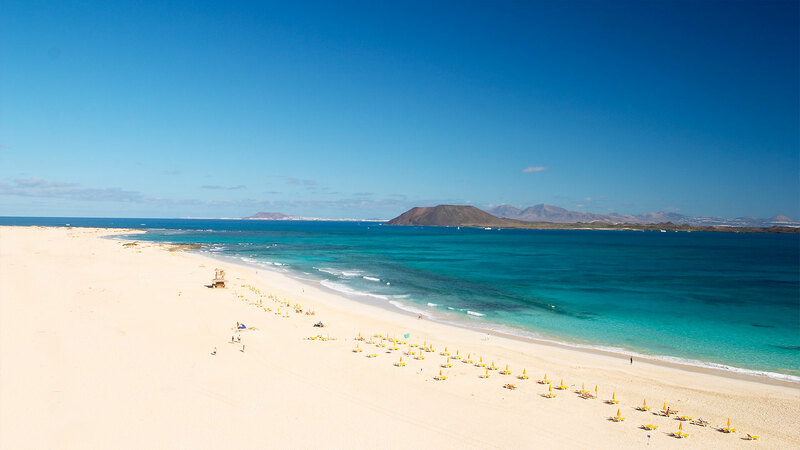 Fuerteventura is famous, with its long, sunny, sandy beaches. The water in the region is clear, warm, and calm, so it is great for sunbathing. Otherwise, there is the wind, which gives great options for surfing on boards, kites, or boats. The beaches of Corralejo stretch along the east coast of the town and the sand is so fine and white, better than anyone ever can imagine. As far as the eye can see, there are beaches, and nothing else. Corralejo is a beautiful town with a lot to see and do. Many shops, delicious local and international foods, jeep safaris, biking, trips with a boat. You can visit the islands of Lanzarote and Lobos, practice lots of watersports … and more is waiting for you. In fact, you can visit Corralejo all year long. Wintertime the temperature is minimum 18 degrees. Most of the beaches around and in Corralejo have umbrellas and sun loungers. That is vital for the strong sun spells in the region and the winds. The town is surrounded by the nature reserve formed from sand dunes. The town beaches are situated in the town boundaries and are a great option for families. “Town” beach – this is one of the most popular beaches in Corralejo. You can find toilets, bins, shelters, and restaurants for foods and drinks here. The place is clean, safe for swimming and water sports, great for body tanning, and fun, of course. On the south of the old harbor, there is one more beach. It is big with great, white sand, but it is a little bit far from the town main street and is not as safe as the previous one. In the heart of the Corralejo town is the small city beach. Lovers of city life can benefit from it. The Big Hotels – Grandes Playas – only a few kilometers from the city, there are a couple of big, family-run resorts. They offer all-inclusive options to the tourists and the beaches there are bigger and better. Can you imagine 7 kilometers of sandy beaches close to the shore? Practically the Atlantic Ocean is at your hotel door. The best section of the beaches in the region is in these resorts. There is a safeguard, local and international cuisine and drinks on the highest level, many all-inclusive amusements and entertainment for visitors. 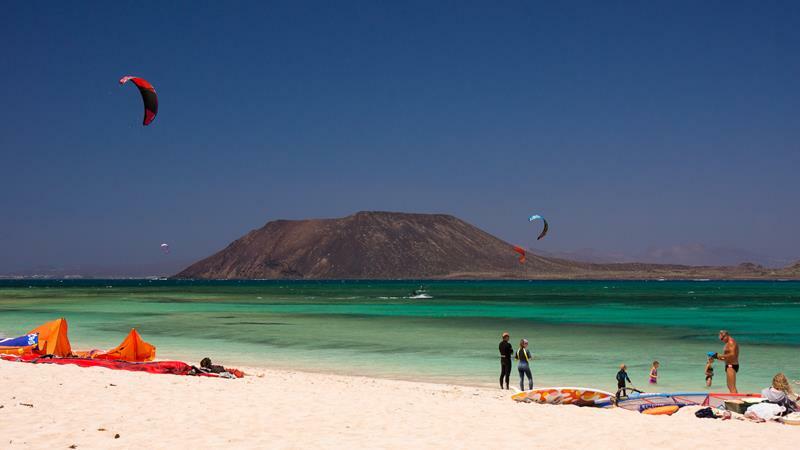 Fuerteventura has a large and varied number/150+/ of beaches along its coast. It features sandy white beaches and others with darker sand.